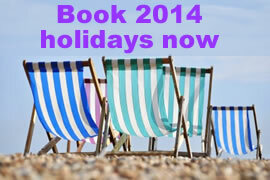 Book your 2014 summer cottage now to take advantage of some great holiday discounts and offers. To get the best choice of self catering holiday cottages and the availability you want it is important to start your search early. All the best cottages and holiday weeks sell out fast, so it really is not a good idea to wait for a last minute bargain as it rarely happens. 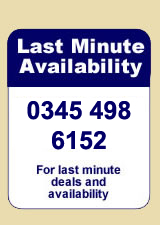 And, booking early will not cost you much as you would think with many providers offering deposits as low as £25. Whether you are looking for a few nights away or a weeks holiday you will find some great value breaks in England, Scotland, Wales and Ireland. As you would expect the summer holidays, particularly late July and throughout August is peak season and so cottages and apartments of all sizes sell out quickly. Therefore as well as checking online we would also recommend calling 0844 847 1143 to find out the latest availability for cottages, apartments or lodges.